The French Riviera is a perfect oasis to spend summer evenings with exceptional cuisine and premium wines where the quintessence of luxury goes beyond expectations. 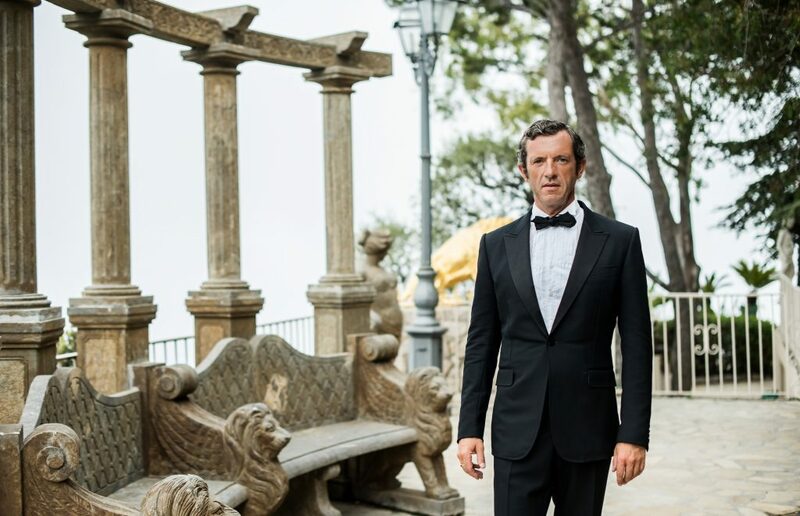 Luxury Life International Magazine sat down with Bradley Mitton, founder of Mitton International Wines and Club Vivanova, to discuss the art of entertaining. You have an international background – Australia, Philippines, Hong Kong, Korea, Germany. How do you think living and working abroad has shaped you personally and professionally? I have lived in isolation in the Philippines, opened the first Greek restaurant in Hong Kong and worked in Korea so travel has exposed me to a huge variety of cultures and ways of doing things. Living abroad has enabled me to learn new skills, bounce back from mistakes and build on ideas from concept to execution. When I moved to Berlin in 2002 I decided that it was time to set up my own wine importing company, so I established Mitton International Wines. We import and distribute boutique Argentinean, Australian, New Zealand and South African wines and we sell exclusively to over 200 five-star hotels and leading restaurants in 7 countries within Europe. I launched Club Vivanova to host dynamic events in locations that sell our products – it’s a synergy between my wine business, our wines and our clients and is very successful with around 80 events a year spread across Monte Carlo, St Tropez, Barcelona, Berlin, Cannes, Mallorca, Milan and Paris. What is the secret of your success, have you always envisioned a bright future? I was very good at maths growing up and numbers came naturally to me. I initially went into banking but moved across to hospitality. I’ve always been ready to look for the best and this has never changed; I search for excellence and refuse to accept mediocrity. I like to surround myself with other smart successful people who I can learn from and the key is ignoring the negativity from others who try to be critical. What is your favourite food and wine pairing? I love a Burgundy Chardonnay – fresh, lively, oaky with caramel – paired with Asian-style salmon. I also admire a Piedmont Nebbiolo which is good value wine for such character and spice and lovely paired with wild boar. dinner party who would they be and why? Julius Caesar because he was an amazing character during the Roman era. Genghis Khan because he was a born leader and passionate about life and love. And my father who I am like personality-wise and I carry his influence for my business life. Club Vivanova events are attended by members and non-members. How do you think this affects the dynamic of the events? Guests at the events pay for membership so it doesn’t really change the dynamic. The food is wonderful as are the wines, and the guests enjoy meeting other interesting business people and entrepreneurs. Are there any key events in your life that shaped your businesses? Moving to Berlin was a motivating factor for me because I didn’t know German and started on a shoe-string budget. I was a single father with a young son and trying to grow a business. However, I believe if you are not driven, you just won’t make it and I see these traits in my son today. It was difficult to manage from here – I still travel to Berlin around 6 times a year – but with the company growth I took on the challenge to move to the Côte d’Azur and develop my wine business in Monaco. You organised the successful Luxury Lifestyle Gala in March 2017 at the Fairmont Monte Carlo and recently hosted a Summer Gala Party at the Grand Hyatt Hôtel Martinez in Cannes. What did you hope to achieve for the latest event and what made it unique? The ultimate outcome is to build on a relationship with the venue and put on a great night with top level food and wine. I am a perfectionist and therefore my clients expect excellence with no excuses, as a result we have to provide a well-run, professional package. Members (and non-members) get the opportunity to enjoy a sociable occasion in unique, luxury locations. If we collaborate with partners, they have to excel and be industry leaders – for example, our Champagne and Diamonds Presentation that was hosted at Tiffany & Co. Boutique in Nice. I’m hands-on for everything from testing menus with the wines to the actual event when people arrive at the door, apéritifs, food and managing the service. Good communication is vital and extends to post-event with appreciations and photos posted online. Do you believe it’s possible to have a successful career while having a fulfilling personal life? Does a balance exist with you? I think you have to be ready to make some sacrifices for success. The French Riviera is a place where you can work hard and play hard; for some it leads to a slippery slope where business and pleasure blurs too much. I like being close to Monaco and the proximity to many of Europe’s business cities, but I prefer living in the hills behind Vence where it’s quiet and a world away from my business networks. It’s important to divide my personal and professional life. I run every morning, spend time with my son, love skiing, sometimes go to St Tropez for lunch and enjoy local events such as Les Nuits du Sud and the Monaco Grand Prix. What lies ahead for your businesses in the next 5 years? I’m aiming to further develop our Club Vivanova membership in Monaco. Social media will be increasingly important as promotion of the dates and details of our events is key. and great entertainment overseen by the enthusiasm and passion of Bradley Mitton himself. Mitton International Wines imports boutique Argentinean, Australian, New Zealand and South African wines to Central Europe selling exclusively to leading hotels, private clubs, villas, super yachts and international restaurants across the Continent; they do not sell to supermarkets or shops and base their distribution from Berlin. Club Vivanova hosts gourmet events in Monaco, the French and Italian Rivieras and across Central Europe targeting a niche group of international professionals and business leaders in the region. The club builds relationships between gastronomy, wineries, international businesses and private clients with an excellent reputation of success and quality in Europe‘s luxury brand sector. Current Club Vivanova event and promotional partners include the Prince Albert II of Monaco Foundation, Tiffany & Co., Boucheron, Sunseeker Yachts, the Monaco Restaurant Group, Fairmont Hotels & Resorts, Relais & Châteaux Hotels, the Hyatt Hotel Group and over one hundred leading hotels in Central Europe (over thirty in Monaco and Cannes), international wealth management groups, Luxury News Online Ltd, artists, luxury and exotic car dealerships, fashion, art and alcohol brands. The club’s biggest event each year is the Club Vivanova Luxury Lifestyle Gala Dinner with the Prince Albert II of Monaco Foundation, to be held next year on Saturday 10th March 2018 at the Salle d’Or Ballroom of the Fairmont Monte Carlo Hotel, with an expected attendance of 500-plus international guests and VIPs. Guests enjoy a sensational evening with VIP Partners amongst an eclectic group of Ambassadors and distinguished international business leaders for a black-tie charity auction dinner with a four course gourmet wine dinner, haute couture fashion show, art exhibition, charity auction and live entertainment. www.clubvivanova-luxurygala.com Luxury Life International Magazine by James W Phillips partners with Club Vivanova for a Luxury Beach Party on Thursday 31st August at the Adamas Lifestyle Beach located at Le Méridien Beach Plaza in Monte Carlo.